Arisa Kherani, an Innovator and researcher at TKS, discusses our technology. Thanks Arisa for the nice COMMENTARY! Congrats to the lab for receiving a CIHR project grant!! COngrats to Dawn for the publication of her first paper on nanotechnology! 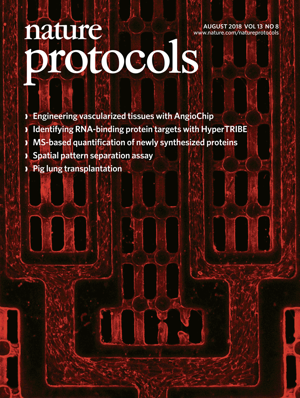 Boyang and Ben's paper is on the Cover of Nature Protocol! 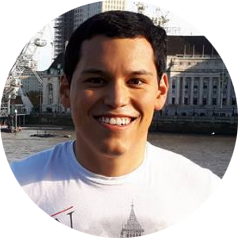 Congrats to Luis Portillos for being awarded the prestigious CONACYTE scholarship from the government of Mexico! Welcome on board! Congrats to Boyang, Milica and all authors for the two new nature papers out on the same day! Congrats to Dawn for her particpation in a publication with Dr. Jeffrey Karp on Nature Materials! To learn more about the work on " Therapeutic luminal coating of the intestine" visit link. Thanks NSERC for supporting our research program with the 2018 Discovery Award!